The hotel and restaurant complex "Navaria Nova" is located in the outskirts of Lviv near Lake Navarii. 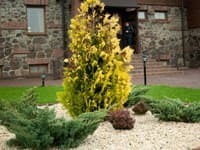 The hotel offers comfortable rooms of "standard", "junior" and "luxury" categories. The cozy, bright rooms are equipped with TVs, air conditioning and minibars. Free Wi-Fi access and parking are provided for guests' convenience. For business meetings on the ground floor, there is a conference room for up to 25 people. 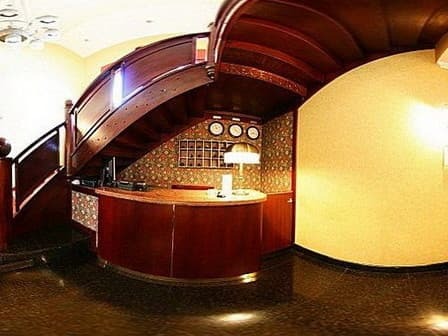 Guests of the hotel will be able to stroll through the picturesque territory of the complex or book a tour of Lviv. On the territory there is a children's playground with entertainment for children of all ages. There are 2 restaurants at your disposal. 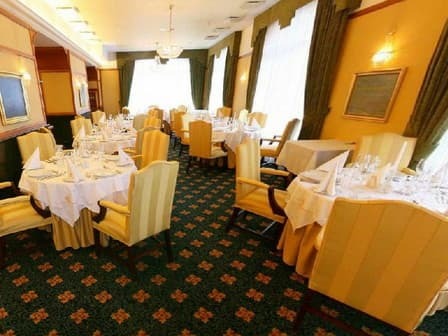 An exquisite restaurant "Navariya Nova" in English style is located in the hotel building. The restaurant of the national Ukrainian cuisine "Lake" is located next to the hotel on the shore of a picturesque lake. 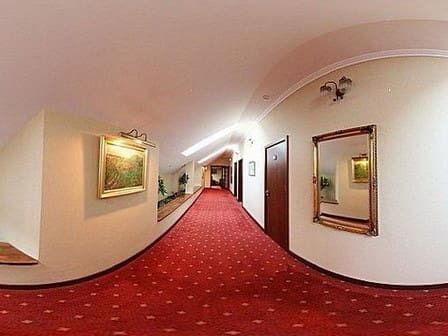 The hotel and restaurant complex "Navaria Nova" is located 200 m from the public transport stop. Lviv Railway Station is 12 km away, the airport - 10 km. The bus station is located in 9.5 km, about 20 minutes drive to the center of Lviv. A shuttle service is available upon reservation. 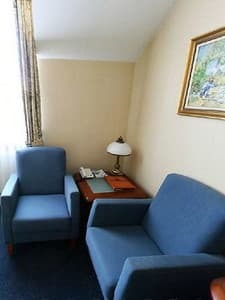 Description of the room: Cozy one-room with a double bed. 15 m². Rooms of this category are located on the 2nd and 3rd floors. 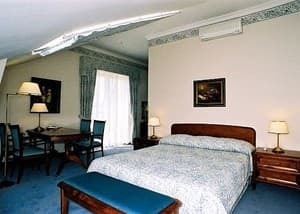 Description of the room: Superior room is 21 m² in size. The bed is provided in the form of a double bed. Rooms of this category are located on the 2nd floor. Description of the room: A spacious one-room junior suite with an area of ​​32 m². The room is located on the 3rd floor. The room has a wide double bed. Description of the room: Two-room suite with an area of ​​55 m². The bedroom has a wide double bed, the bathroom has a Jacuzzi (6,3 m2). Description of the room: Elegant two-room suite with an area of ​​44 m². The bathroom has a jacuzzi (9 m2). Children under 12 years without extra beds are accommodated free of charge. Extra bed for children and adults - 250 UAH. 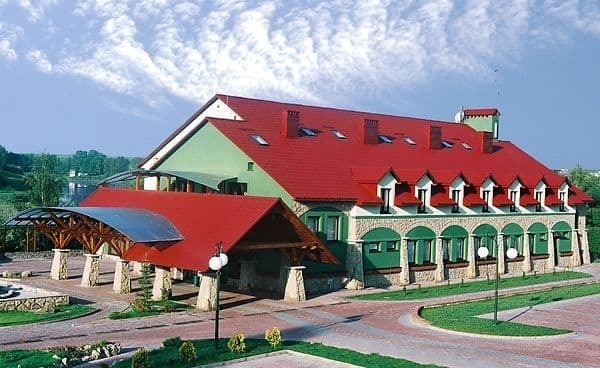 The hotel and restaurant complex "Navaria Nova" is located in the outskirts of Lviv near Lake Navarii. Lviv Railway Station is 12 km away, the airport - 10 km. The bus station is located in 9.5 km, about 20 minutes drive to the center of Lviv. Shuttle buses in the direction of Lviv - Pustomyty (stop near the turn to the lake in front of the village of Navariya): №141 (from the suburban railway station), №71 A (from the University of I. Franko), № 203, № 204 (from the circus). On request, a transfer service (about 150 UAH) is provided.